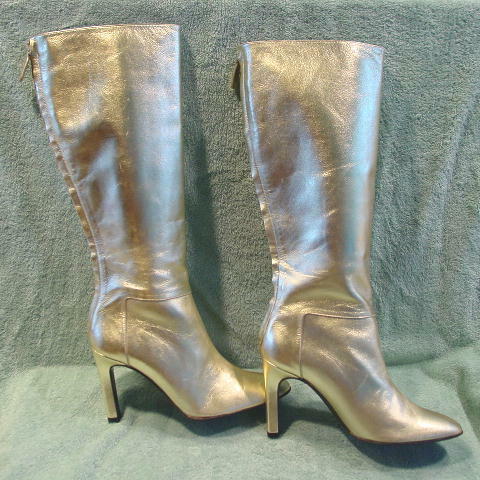 These never-worn gold lame leather boots were made in Italy by Valentino Garavani. 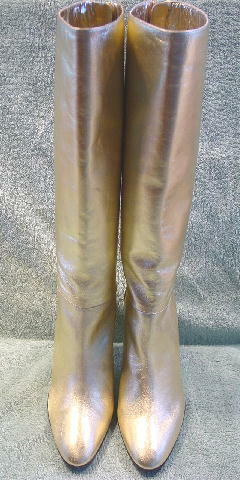 They have modified rounded toes and a back 12 1/4" long zipper with a gold leather pull. 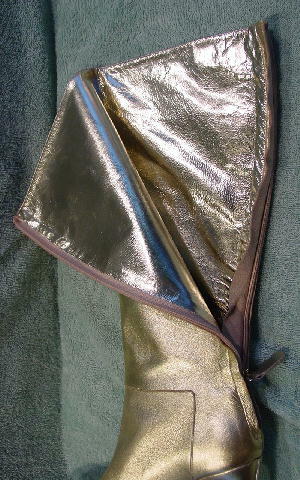 There are bright shiny gold lame leather linings and insoles. 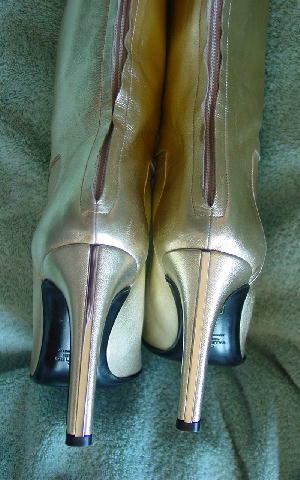 The high heels have a gold-tone mirrored plastic strip down the center back. 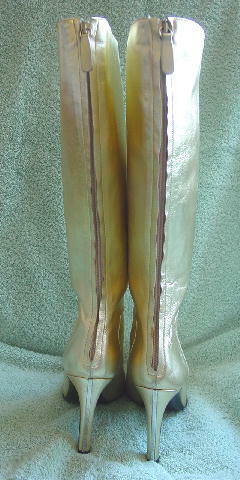 The right boot has a scuff mark to the left of the center strip where the color is missing. 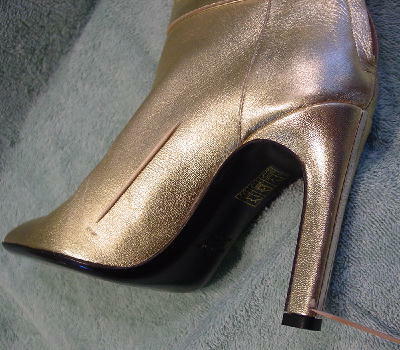 There is some color missing to the right of the strip as the heel meets the heel of the foot. The left boot has some color missing on the foot back seam and there are three tiny scuff marks on the inner back side and the heel has a scuff mark to the right of the center strip. The leather inside and out is extremely soft and it smells good too. They look better in person. They're from a younger model. She bought them when she got her first multi-day location catalog photo shoot. She sold them because her agency still hasn't paid her (it has been several months) and she needed the "rent" money. She said she paid over $1000 (plus tax) on sale. 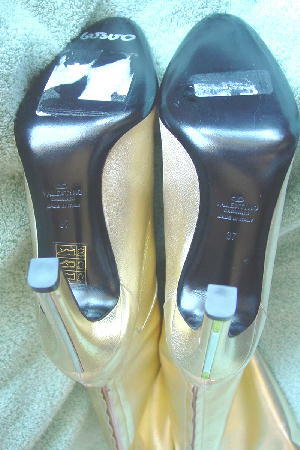 bottom of heel to top of boot 17 1/4"